Most people buy insurance to protect themselves, financially, from unforeseeable accidents that damage their health, property or livelihood. Unfortunately, many who suffer misfortune find themselves in battles with their insurance company after filing a claim. When they deny a legitimate claim, they are said to be acting in bad faith(http://www.edwardslawok.com/bad-faith-insurance-claim.html). Millions of people dont understand why their insurance company ends up fighting them when they need them the most, especially after paying monthly premiums on time for several years. The fact is that the insurance industry is big business, with companies making an average of $30 million in profits each year and paying their Chief Executives more than any other industry. How do they make these massive profits? Part of what makes a company profitable is keeping costs low, and nothing costs more to insurance companies than paying out claims. Insurance companies use a variety of pressure tactics to avoid paying claims to their policyholders. Below are some examples of bad faith tactics. The tactic of denying all claims initially, even clearly valid ones, is done in the hopes that the claimant will just give up and go away. For example, a 60-year-old woman was put into a coma for nine days and faced months of rehabilitative medical costs after a pickup truck driver slammed into her in a fit of road rage. The pickup drivers insurance company denied her claim, stating that because the accident was intentional, it wasnt really an accident, and they didnt have to pay. An investigate report later revealed that this insurance company made it a policy to automatically deny any claim initially. They even had contests where employees with the lowest payment goals were given gift certificates and other awards. 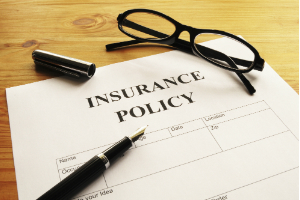 Insurance companies often use delay tactics to avoid paying legitimate claims. They try to drag out the claims process as long as possible to wear down the policyholder until they quit or even pass away before their claim is processed. They may tell claimants they missed deadlines, filled out the wrong form, forgot to provide additional paperwork or even cite made-up policy provisions that contradict previous denials. This scenario happened to a 77-year-old woman who purchased a long-term care policy a decade before she needed it. She had been diligently paying her premiums on time for over 10 years, but was taken advantage of by the insurance company. After four years of delays, her family was forced to sell their home to pay her assisted living costs. Costs that were supposed to be covered by her insurance policy. The use of confusing language in official documents is often used as a tool to deny claims. When faced with the denial, the insurance agent will simply tell you that you should have read your contract. Of course, many people dont even see their official contracts until after theyve handed over money to the company. The language in these documents is often murky, vague and difficult to understand for anyone without a law degree. In some cases, the insurance agent will tell a potential customer one thing to get them sign the paper, and then contradict them later when they are denying their claim. This happened to a man in Mississippi who was told by his insurance agent that his hurricane insurance would also protect the home from floods. But after Hurricane Katrina destroyed his home, the company told him that an anti-concurrent policy invalidated the policy if flooding occurred. Read Before Signing Make sure you read over your policy carefully before signing it. If you are confused about anything in the contract, ask an attorney to look it over first. Get It in Writing If an insurance sales person makes any guarantees, promises or assurances, make sure you have it in writing, with a signature. Document Everything If you have been in an accident, gather as much documentation as you can to establish liability. Consult with an Attorney If your injury claim is denied, you may want to contact an attorney. Insurance companies will deny, delay, confuse and refuse to pay out claims. An experienced attorney can help you avoid being taken advantage of. The experienced Oklahoma injury lawyers at The Edwards Law Firm are familiar with the insurance industrys tricks and will work to get you the compensation you deserve. Call us today for a no-cost-, no-obligation consultation.